So you haven’t got much time to prepare for the Thanksgiving holiday. You just found out you have guests coming over for dinner on this holiday and you are about to panic. No worries! You’ve got this in the bag… the turkey bag so to speak! 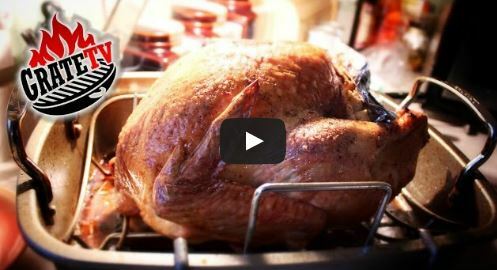 Follow these tips or improvise with your own ideas but you can bet you will be very successful with a few easy shortcuts when preparing your Thanksgiving meal. Make your list and go grocery shopping a few days before Thanksgiving. Don’t wait until the day before because you will run into frantic buyers and there may be a temporary shortage of the food items you need. So get the shopping done. Get your family to help clean the house before guests arrive. Make a game out of it with some extra rewards like going to a movie or renting a movie when everything is clean to get in the spirit of things. First we will plan the tablescape. Use a white sheet for a tablecloth. Buy 1-2 yards of burlap fabric and arrange it down the middle of your table. Take a picture frame (black or brown) remove the glass and set it in the middle of the table. If you have a glass vase or tall candy jar, fill it with tall sticks or pinecones from your yard or buy some from the craft store. Set the vase in the middle of the picture frame. Purchase some brown ribbon. Make a large ribbon with long ends so you can drape it down the middle of both sides of your table. You can sprinkle candy corn or pinecones in various places around the table. For an added touch cut out labels from brown paper sacks. Make one for each guest and tie it with twine to a pinecone to set by a plate for each guest. Have your children get involved. They can make these for you. There you go. Instant Thanksgiving charm! Use a plastic turkey bag for baking your turkey. These are awesome and if you follow the directions you will get a moist and tender turkey every time! It also cuts baking time. Use stovetop baby! Add some sausage for an added delightful taste! You could make this ahead and heat just before serving. You might want to experiement a bit though to make sure it doesn’t go soggy. Instant of course will do the trick! Find the brand that you think tastes the best. Get a package that has butter in the mix. They aren’t as chunky as the real deal but they taste really good! Pick up a turkey or brown gravy mix as well unless you want to make gravy from the turkey drippings. Pick one up from your local grocery store. Another option would be to buy veggies already washed trimmed and ready to serve to arrange on a platter. Then pick up your favorite dill, spinach, or ranch dip to serve alongside your relish tray. Add black olives. Bake and serve roll dough does the trick. Rolls can be raising Thanksgiving morning while you are preparing the other dishes. Have some jam, honey butter, etc..on hand to serve alongside your rolls. You could even use store bought ready to bake crescent rolls. Mix green beans and cream of mushroom soup and heat through. Sprinkle crispy dried onions on top and serve. Add some yams and a little brown sugar in a glass baking dish. Warm in the microwave. Top with marshmallow and put in the oven for 5-8 minutes to melt and brown the mallows. Yummy. Order your pies from a local bakery or pick some up from the grocery store. Try and find some that taste homemade without all the fuss! Don’t forget the ice cream for those who like pie alamode! Pour apple juice and a bottle of lemon lime soda for a sparkling beverage to serve your guests. Add some canned cranberries to your menu. This will get you through in a pinch. If your guests offer to bring a dish, say yes. Now when Thanksgiving Day arrives you can still enjoy the day along with your guests and be so grateful that you have food to eat and family and friends to enjoy it with! Turkey always seems better when cooked outdoors! 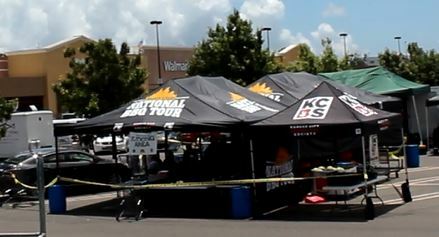 At least that’s how we see it here at BarbecueTricks.com and GrateTV.com. We decided to give you a super fast rundown of our favorite ways to BBQ Turkey. From slow smoke to fast fry and rotisserie turkey too. 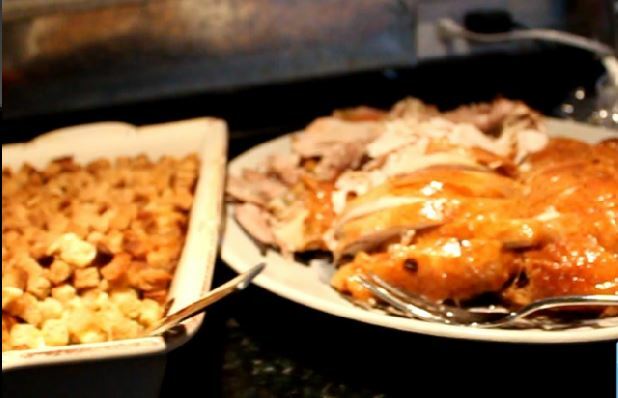 Take a look and plan your Turkey day to be the best ever. GrateTV Just invented something a bit unusual. 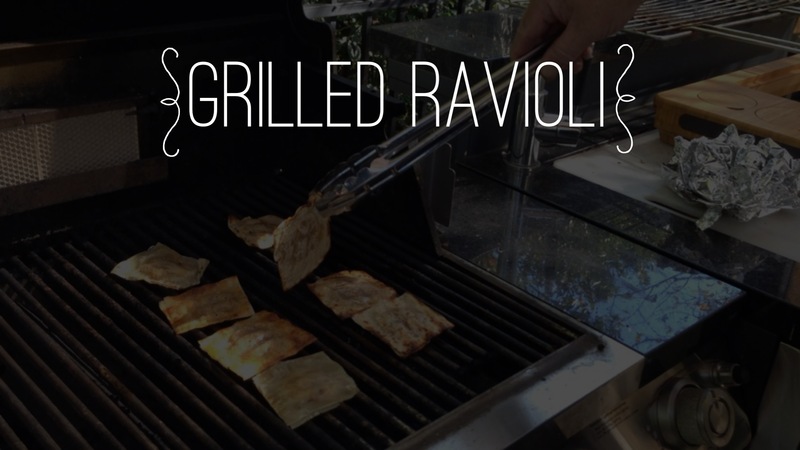 It’s a Grilled or BBQ Ravioli that’s perfect for tailgates or any time. 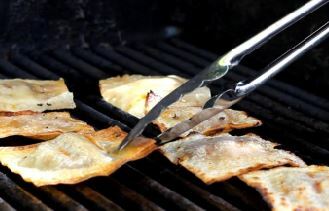 Take a look at the YouTUBE BBQ Ravioli video HERE and try it at home. See The full recipe breakdown HERE. When the weather gets cooler the grill calls for more seasonal vegetables like squash and maybe a few root vegetables. 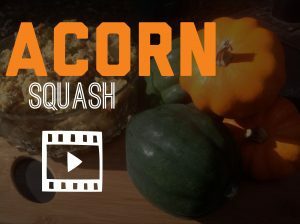 Here’s an acorn squash recipe and BBQ technique that is a lot of fun for Fall and especially Halloween Pumpkin carving time. The acorn squash halloween recipe is super easy and with the addition of a good sausage it’s hearty too. Full breakdown at GrateTV.com Squash Recipe HERE — Like this stuff? Please Comment Like and Share.